Kelpie is tucked into quite a large pitch at Camping Monmar which is a large campsite at the other side of Nules Playa in a small town called Moncofar (Moncofa in Spanish) (39.80838, -0.12721). When we arrived, the young man at reception came out to have a look at the size of Kelpie and thought that there would not be a suitable pitch for us to fit in, due to the tight turns and trees on the corner of each pitch. He offered us to stay in the car park outside the site for €20 per night with no electricity! No thank you! We were about to turn around when the owner appeared. He had different ideas as to accessibility and took me round to show me a pitch and told me he would guide me in personally. With excellent directions and guidance we turned into the pitch and parked up in one manoeuvre – excellent. We discovered that the price dropped to €15 per night including electricity if you stayed for one week. With the ACSI card the price was slightly cheaper again. €17 per night but stay for 7 nights and only pay for 6 saving us another few euro to buy us a coffee each during the week! The site had a sink at each pitch for doing dishes, a grey water drain at each pitch, hot showers all day and a fantastic laundry room including ironing boards and an iron. There was free wifi for 2 hours every 4, but only in the vicinity of the cafe. Other wifi was payable at €2 per day, which was very fast. The cafe/bar opened at 4.30pm each day – some days the wood burning stove was welcome! The staff at the campsite were extremely helpful and courteous and the owner had even instructed his staff that they were to guide us out of the pitch again when we were leaving, which they did. A lesson in customer services for others to learn from. We booked in for a week to see us over the New Year. There were lots of long term campers onsite and a rally of the Caravan & Camping Club who appeared to be staying until sometime in March. The beach at Moncofa was similar to that of Nules, comprised mostly of pebbles. Every few hundred yards there was a large man made rock pier extending out into the sea to break the tide and protect the beaches from erosion. San Antonio bay on the island of Ibiza was just visible on the horizon. Alan discovered by chance that another blogger that he follows was staying on the site, so he had a little look round to see if he could spot him. We ended up meeting Mark from Where’s Frankie at the quiz night and had a bit of a chat about travelling and blogging – a good wee night and the first English speaking people we’ve met since we left Ireland. King James I of Spain was said to have come to these parts to rid Spain of the Moors and the settlement of Moncofa was established after the relief. A statue in his honour has been built in the town and it sits in the square in front of a rather stylish looking house. 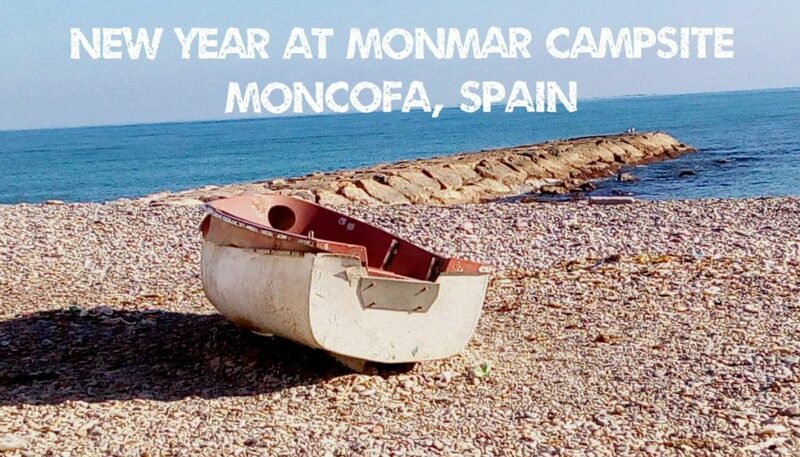 The beach resort of Moncofa lies not far north of Valencia, and beach life here started to establish itself when the Valencian merchants, who got rich from the export of oranges, started coming here on their holidays. During the 1920’s and 1930’s, they bought up stretches of beach side land and built themselves holiday chalet retreats directly on the beach. During the Spanish civil war many of these chalets were confiscated from their owners and set up as field hospitals for the injured. Modern planning restrictions no longer allow the construction of buildings directly on the beach. A couple from San Fransisco parked up beside us and we got chatting. They were only booked in to use the services, but ended up coming over to ours for a few drinks, including our first taste of Kentucky bourbon, and ended up booking their van into the site for the night. Danny and Sandy from Dandy’s Odyssey left USA last July with a view to travelling around Europe by train. The logistics of this style of travel were becoming complicated, so they bought a van conversion motorhome in Germany to allow them the freedom both to travel and stay without worrying about booking trains and hotels. They have been travelling all over Europe since then. They’d been to Scandinavia, Russia, Croatia, Italy, France, Montenegro, Latvia, Albania – everywhere – mostly wild camping. Lovely people, but far more adventurous than us at the minute lol. The next day a lady originally from Enniskillen and her husband from Donegal invited us to their van for what I thought was coffee and brandy. When we turned up she had made us our dinner – drinks, snacks, salad, – the heap. Lovely, lovely people Jim and Wyn who now live in Leicester. We exchanged life stories – although theirs were far more exciting than ours – and stayed wayyyyy to late. They’re heading off to La Manga in the morning and then to Almeria and finally to Cabopino near Marbella, so we said we’d meet up with them again in Cabopino if we reach there around the same time. Also met another lovely couple John and Judy who are from Yorkshire but live in the north of Scotland. They were heading to Bendorm for a couple of months and stopped off at Monmar for three weeks on the way down. They were in their 70’s but as fit as fiddles and used to go out cycling for hours every day. Early January sees two important events in the Spanish calendar. New Year’s Day and then Three Kings (Epiphany) on 6th January. We are not much into celebrating the new year and just spent a quiet evening on new year’s eve in each others company in the motorhome – listening to the revellers and fireworks after midnight. On New Year’s day we had the remainder of the turkey for dinner washed down with another couple of bottles of Spumante. Three Kings Day is the day the Spanish children usually receive their presents in representation of the Kings arriving after the birth of Jesus bearing gifts. Most Spanish towns have a parade of colourful floats on the night of 5th January to announce the arrival of the “Kings” and sweets are thrown from the floats into the watching crowds. We didn’t venture into the town for this, as we have seen many Kings’ parades before. We are starting to meet some lovely people – all with different reasons for travelling. Sandy and Danny from the US wanted to get away from the daily grind and see something new and exciting without knowing what each day was bringing. Jim and Wyn knew exactly where they were going – they had their trip all planned out – same trip ever year at the same time – but enjoyed being away from home over the winter soaking up the sun. John and Judy who go to Benidorm every year for three months to escape the Scottish winter. Three different approaches to the same thing – the freedom to be wherever you want to be, whenever you want to be there.